If you’re an entrepreneur, a freelancer or a small business owner, chances are you find yourself wearing a lot of different hats throughout your working day. You could be pouring over your finances one moment... and the next, you’re switching gears to chase down new customers. 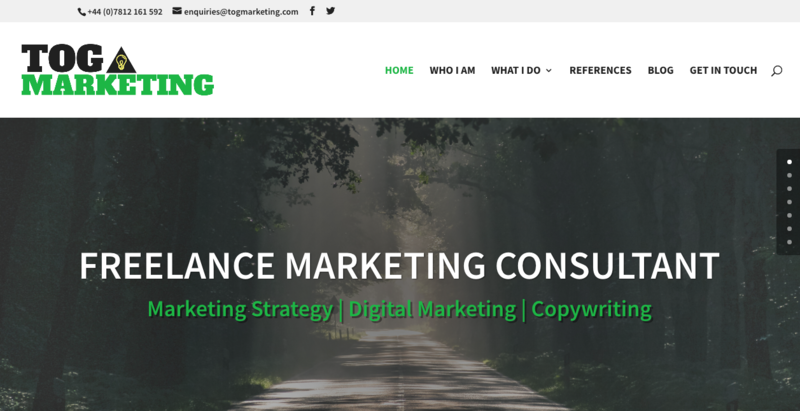 And at the same time, you may be updating your website, sorting out your paperwork, or even planning a digital marketing campaign. With all of that on your to-do list, hopefully, somewhere, there’s time for a 15-minute standing-up lunch and maybe some moments to actually focus on delivering whatever it is your business does! Of course, all this effort is invaluable in the long-run. After all, as small business owners, we get to learn by doing. And that DIY attitude is an essential part of what makes the most successful entrepreneurs. But, especially as you begin to see some success and/or growth from all your efforts, it’ll soon dawn on you that you’re just not able to do everything yourself. Getting some extra help on board will free you up to carry on doing what you do best and, hopefully, what’s best for your business. Whether you picture that help to be for the long term or just complete a single task or project will help determine whether you’re in the market to hire a full-time employee, a freelancer or even another business to help you. The House of Commons Library reported that micro-businesses (those that employ 0-9 people) accounted for 33% of all employment in the UK in 2017. But the question is: with so many tasks, so little time and (often) not a lot of cash spare for most business owners, where should we be spending our hiring budget? One of the first ports of call for many small businesses is hiring an accountant. In one of our recent blog posts, we asked the community what they wished they’d been smarter about when they were starting out in business. And of the responses we had, one of the most common contributions was from those wishing they’d spoken to an accountant earlier than they did. Accountants are so much more than number crunchers and bean counters. They’re the people who are best placed to advise you on business structures, any tax relief you may be eligible for and fulfilling the rest of your financial obligations as required by law. There’s a lot of good services out there (we love Boffix!) that can provide exactly this kind of expert advice and, in some cases, services like these can take care of other business functions as well – such as IT or HR support... freeing you up to take care of the things on your to-do list that you prefer to do! Early on, many small businesses couldn’t be blamed for keeping their marketing in-house. After all, you know your business inside-out and back-to-front, so who better to communicate the value of what you offer than you personally. These days, though, with so many different platforms to choose from, the options have never been more plentiful...or baffling! So, it’s not a bad idea to get help from those in the know once your business begins to grow. A marketing expert will work with you and make sure your resources are being focused in the right areas, whether that's email, print, paid online or branding. It’s worth noting, though, that whatever strategy you choose to pursue, it may be some time before you begin to see results – so make sure you’ve got the budget to stick it out before hiring – especially with areas such as search engine optimisation (SEO), which can often take months to work! According to research by Deloitte, marketing and sales roles are among the top 20% of industries that have driven job growth and creation since the year 2000. Like marketing, and when you’re just starting out, you may decide to do all your own design work yourself – particularly if you already have some experience in this area. While we don’t want to discourage anyone from a bit of DIY design, for anything beyond the first days of your new business, or a small side project, it’s probably going to be worth looking into some expert help in this area. Not only will a professional designer be able to deliver a range of materials quicker, but they’ll also avoid the pitfalls that many amateur designers tend to fall in to, resulting in mistakes that can cost you money or harm your brand. 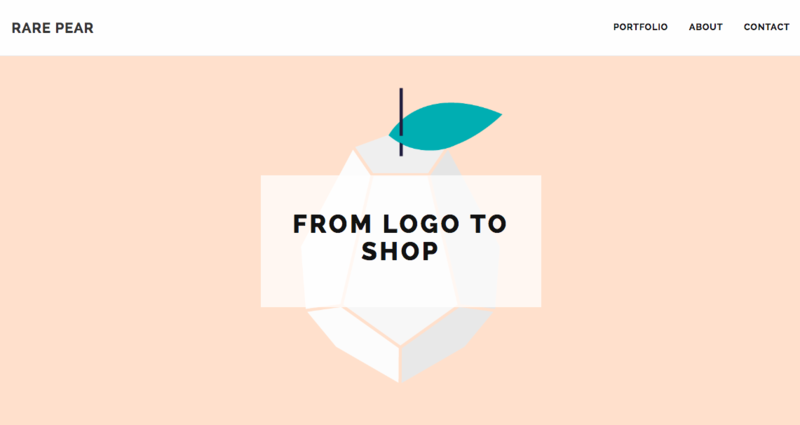 Shop around online for a designer or an agency and take some time to view some of their recent work. It’s important to look for examples that are on trend within your industry and to see whether they have experience at providing a range of different materials. Even if you’re only commissioning a professional-looking logo for now, chances are that, as your business starts to grow, you’ll soon need other services such as printed materials like signs or brochures, or web design and social media posts in the digital realm. For a small business, hiring a web developer may seem like a bit of an extravagance. On the one hand, there are plenty of services out there that will let you build and maintain a website with no technical know-how, for a small monthly fee. On the other, the costs for fully-fledged web developers have increased significantly over recent years as demand has far outstripped supply. So, while we don’t want to talk any of these template website building services down, the fact is that a growing business may soon begin to find themselves hindered by the limitations within such software. And if your business is going to be an exclusively, or mostly, online offering, having a skilled developer build and maintain that site may be sensible. Not to mention, web developers must maintain a wide range of skills and, with technology updating at such a fast pace, they could end up adding a whole extra dimension to your website that you may never have even thought of! A recent survey in the US by the freelancer recruitment company Upwork, found that of the 20 fastest growing freelance skills in the 2nd quarter of 2018, 70% of those hadn’t appeared on the index in the previous year – demonstrating the pace at which tech skills are evolving. An experienced non-executive director (NED) can make huge contributions to a growing business. Typically, this is through their familiarity of the industry your business is in, or their wealth of contacts among investors, clients or partners, but there are plenty of other ways they can be a benefit too. For example, NEDs may not be as emotionally invested in the business as the founding members may be, affording them a little distance and perspective when helping to make decisions. Similarly, as they're not working alongside the team day to day, they can maintain a degree of independence and be a bit freer to speak their mind as a result. Therefore, they can help plan the long-term strategy of a business without getting too carried away - and they can potentially see threats and opportunities for the business that others may have missed. Unfortunately, there’s no catch-all solution for the right time or the right order to add some extra capacity to your business. At the end of the day, every business is unique – from the idea at the centre and the abilities of the founder(s) to the amount of help they can rely on from friends, family, their professional network and the amount and type of investment they have. Hiring can be an expensive and time-consuming process, particularly so for small businesses – and a lot of founders and entrepreneurs try to work around this by hiring directly from their professional network or even friends or family. Even so, it’s up to you to make your business as attractive to potential employees as possible. And that's not just salary and benefits... it's important for your employees to feel supported and secure enough to want to invest in their career with you. Startups can be perceived as risky – and the more support and security you can give your new employees, the better. Alternatively, by hiring freelancers you get to audition talent and make sure they're a good fit with you and your business. It may seem like the more expensive method at first; but if you get it right, it will save you time and money in the future. This is particularly true when you’re scaling up and trying to fill more positions. Professional software and the equipment on which to run it has become cheaper and more accessible than ever - and free or lite versions of the premium tools can be accessed perfectly legally online. Technology has freed us up to work from anywhere, expanding the talent pool around the UK and internationally. Which, in turn, has contributed to an explosion of freelance workers and spawned the *gig* economy. A wide range of free and/or premium services have been set up that allows businesses to outsource certain tasks – work that traditionally might have to have been taken care of in-house or with the help of a qualified professional. As the trend for technology disrupting the way we do business and the way we work continues unabated, it’s not only founders that can be expected to multi-task anymore – increasingly freelancers and employees alike are finding that they must diversify their skill sets to remain competitive as well. Research by Deloitte states that the number of people employed in 44% of occupations in the UK is declining. In other words, of the 366 occupations that were analysed, employment is falling in 160. So it's important that we, as small businesses, are open to not only training ourselves but to hire and train a team around us too. What do small businesses think about hiring? We've been chatting to the Farillio community over the past few weeks to find out what kind of assistance you needed at the start of your business. The responses were very interesting – and, as suggested earlier in this blog, the first hire depends massively on the type of business that's doing the hiring – not only size, but industry, audience, and more. What was the first thing you needed help with for your business? I started Blue Array as a bootstrapped business and really needed help with delivering client work in the early days. What was the first role that you hired for? And why in particular did that job need to be filled first? The first role was for an executive to support me and I went through the national apprenticeship scheme. It seemed logical in the early days to go with someone with no skills so that I could impart and transfer knowledge. What's been the most invaluable help within your business? Hiring an EA and office manager really freed me up from the general administration and appointment setting involved with running a busy agency. What do you think you’ll need help with in the future? Looking to the near future, there will be a number of internal promotions. New roles we’re creating are for a digital marketing manager and a digital PR person to support the ambitious growth plans. We’re always hiring SEO managers and have them supported by graduates who are being trained and mentored to become the next internal wave of SEO managers. And anything else you think would be relevant! It’s worth mentioning we’ve found great third-party support for accounting, HR, business and personal development and we even have a meditation practitioner that comes in bi-weekly. As a marketer, it might seem odd for me to say marketing, but it can cover such a wide range of skills – some of which I don’t possess. Graphic design and web development are examples that spring to mind. It may be tempting to have a go at these things yourself (copywriting is another good example where people take a DIY approach) but they are so important. It’s a much better idea to involve people who have these skills and know what they are doing. Every business needs a clear strategy to reach and attract the people that need, or want, what it offers. Whilst some businesses survive without marketing online, it’s pretty clear that these are becoming fewer and further between, which is good for me! There are lots of ways to do this, and it depends entirely on the business – but, if you don’t have a plan to market your business, you won’t sell. If you don’t sell, you won’t have a business. That’s why marketing is always one the first areas any business needs help with, in my opinion. Rather than any particular area of my business, I’d say it’s invaluable to have people you can talk to. When you are running a small business you can be stuck in an echo chamber. You might not have anyone to run ideas past – a sounding board for feedback and advice. I’ve found that having friends and family, as well as a professional network to talk to, is a must. When you are starting out, it’s tempting to do everything yourself, but it’s ok to ask for help and advice. There are lots of friendly people out there, and you might be able to return the favour at some point. The obvious answer for me is accounting. I’ll get by, to a point, with my Excel spreadsheets and some half-decent admin practices, but know eventually I won’t want to spend any more time on it. Another area would be on the legal and contractual side. I have some experience of this from previous work, so I know enough to get by for now. Again, at some point, I know this is something I’ll want to hand over to experts. As a small business owner, knowing that financial and legal matters aren’t going to come back to haunt you will provide valuable peace of mind. We’re both creatives, so creating our brand identity came naturally to us. When we first started, we underestimated how much help we would need to understand just the basics of business structure and how the system would work for us. We had to seek advice as we didn’t have much experience in this area. Who would be the first role you would like to hire for? And why this role over others? We imagine our first hire would be for a project manager, to help improve communication with the outside world as well as throughout the agency. We can already begin to see how this role would be crucial as our business grows, whether it be for pitching new work or for existing clients. Keeping us organised and the clients up to date so that we have the time to focus on the design challenges. Farillio and their vast library of useful documents and information helped us enormously, especially when we first needed help with how to structure our business - LTD vs. LLP, the responsibilities involved, the legal implications, finance etc. We think what we may need help with next is legal advice on insurance for specific briefs and with marketing for reaching a wider audience. What kind of hire is first made, typically, by the startups you work with? "The type of support that a startup needs, in my experience, is varied when they are initially getting themselves off the ground. This is why we pulled together a team that they could have access to be able to leanly grow. As startup needs to be able to access resources around exactly what they need. Bringing in a full-time member of staff just to do one role is usually out of reach for most pre-funding startups and is not necessarily the most efficient in the early stages. Most startups need a mixture of operations support, creative design, website design, social media and marketing/business development support initially. More often than not, a startup will initially need operations support that can wear many hats, which will help extend what they need to do to take their business further while also freeing up the founders time." From your experience, what type of help do startup owners find most valuable? From our experience, startups find the most valuable getting the advice and guidance of ‘what to do next’ often the founder or CEO is just too swamped and lose the time to be able to think ’top level’ and get bogged down in the day to day. The most valuable help has been freeing up the founders time by maintaining the business and direction while they focus on new business and moving things forwards strategically." So, as you can see – or as you may have noticed yourself while being part of the small business community – the roles that startups first hire for varies largely on factors such as the industry of the business, the audience, the growth rate, and, of course, the skills that the founder/s already have or are keen to learn themselves. If you're thinking about hiring for the first time, it's important that you're aware of the differences between employees, workers and contractors before you do so – otherwise, you may receive some hefty fines from HMRC. And if you do decide that you need to bring employees into your team, then follow the steps in our guide to hiring for the first time to make your hire legally compliant with employment law. You'll also find a bunch of other employment guidance and templates over on the Farillio member's site, which will help you through the entire employment journey – from creating your first job adverts to ending employment contracts and everything in between!